When it comes to racing brake pads, Pagid is the most well known and most often used, just ask around the paddock. Our Pagid pads come pre-bedded and ready to use, at no extra charge! We offer the most popular compounds to make it easier for you! You might hear terms such as “Pagid yellows, Pagid blacks, Pagid oranges, Pagid blues” etc, for the most part most track day junkies use some form of yellow, with the exception being using a different compound on the rear to compensate for brake bias on certain cars. Please note that not all compounds are available in all pad shapes. If you have a special request or if you have any questions please do not hesitate to call us for advise 336-738-3053. RS 14 compound: Also known as a “sprint race” pad. Medium-high friction coefficient with good initial bite. Very good modulation and controllability with low wear rate. RS 19 compound: The original track day and endurance racing brake pad. Medium friction coefficient, long pad and disc life. RS 29 compound: Same as RS 19 but with more bite, one of the most popular brake pads for track days and HPDE. RSL1 compound: Newer compound derived from the very popular RS19/29 compound. Higher friction coefficient and more bite with more fade resistance then the RS9/29. We are expecting these pads to take over the RS29 as the most popular track day and HPDE brake pad. 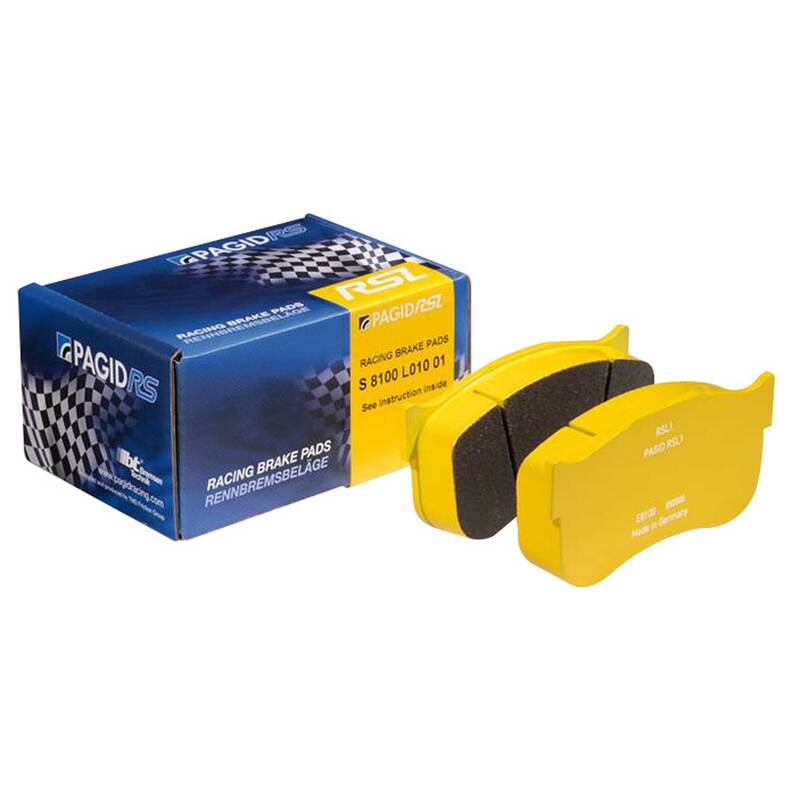 *Please note that some Pagid brake pads are not compatible with factory shims and brake wear sensors. Most of the time the wear sensors can be ziptied out of the way and/or used without factory shims.